Where Do Curry and Durant Rank Among All-Time Duos? Although they have just wrapped up their first season together, the sports media can’t help but wonder where Stephen Curry and Kevin Durant rank all-time as a duo. This conversation has lured me in as well, because throughout their unprecedented 16-1 postseason run, I can’t remember ever seeing two better players share the court. Jeff Van Gundy, as he is wont to do, controversially posited during Game 2’s broadcast that Curry and KD are the best duo ever. While baldly ridiculous at first glance, I thought this claim deserved deeper investigation. Are we all just prisoners of the moment or does the Curry-KD duo have a case? Since they have only played together for one season, we’ll compare them to other single-season tandems, beginning with the most recent and working backwards. This was only five years ago, but let’s set the stage: The Heatles were coming off a bitter end to their 2011 season, when the Dallas Mavericks stunned them in the Finals. Their first year together following The Decision had come up just two games short of a title, but it felt like an undeniable failure (and remains the only real black mark on LeBron James’ legacy). 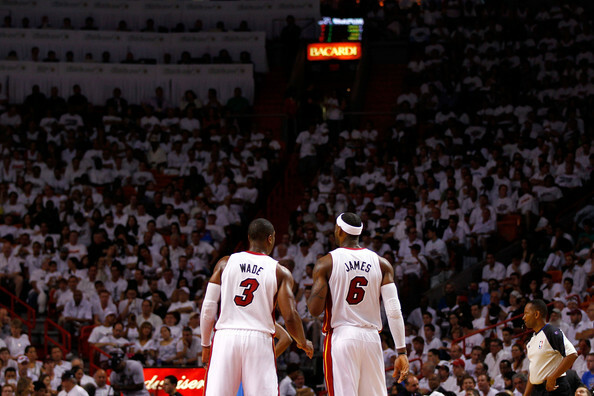 Critics of LeBron and the Heat were never louder than during the 2011-12 season, but somehow this duo tuned out all that. LeBron won his third MVP, adding a fresh post-up facet to his game. Dwyane Wade, while beginning to near the end of his prime, made the All-NBA Third Team, proving he was still one of the league’s top few guards. In the playoffs, LeBron submitted one of the all-time great performances in Game 6 of the Eastern Conference Finals. Facing elimination against a hostile Celtics crowd, he played the entire game with a weirdly serene look on his face that made you think he was about to commit self-immolation in the middle of the Boston Garden. Instead, he just went to his happy place amid the Bostonian insults and slapped up a 45-point, 15-rebound masterpiece that remains one of the indelible individual efforts in the game’s history. That performance definitely deserves its own 30 for 30. Despite LeBron basically at his apex and Wade still providing excellent numbers, Curry and KD top them for their combined excellence this season. Both made All-NBA Second Team in an insanely competitive current landscape of individual greatness. While that Heat team dispatched Durant’s Thunder in 5 Finals games that year, they really struggled getting through the East. In contrast, the Warriors were on cruise control, coming just short of completing the first undefeated postseason. Sure, Curry and KD have more help around them and LeBron and Wade played better off each other (see this article for an explanation of that), but this is historic greatness that we didn’t see from that 2012 Heat squad. So, Curry-KD are the best two players to wear the same jersey at the same time in at least 15 years, but can they top the 2001 Shaqobe Lakers? This was the middle season of the Lakers’ dominant three-peat run, well before everything turned sour. Shaq was at his absolute peak and Kobe was in his fifth season and starting to feel real comfortable putting up easy points. 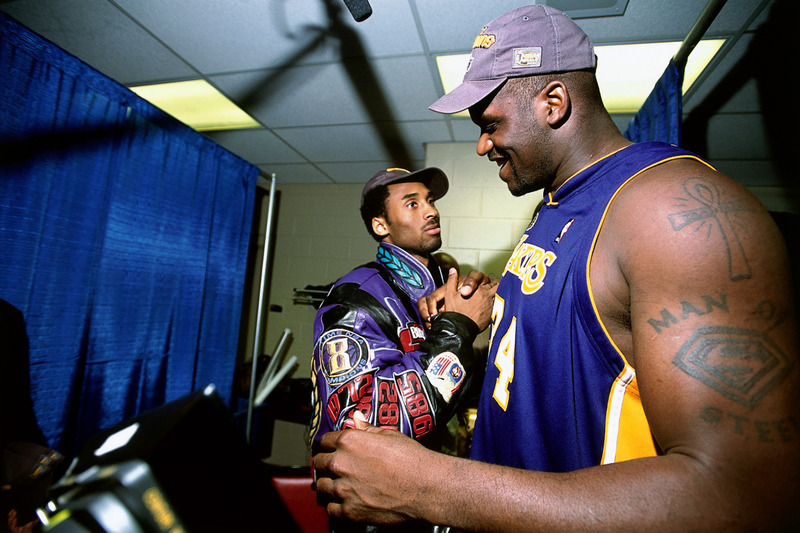 They both averaged 28 points/game that season, with Shaq seeing All-NBA First Team and honors and Kobe on the Second Team. However, it was the historic postseason that will help this team live on. The Lakers made the game look effortless by easily sweeping their first three opponents. Their only loss of the entire playoffs came in Game 1 of the Finals in overtime against Allen Iverson’s Sixers. Other than that blip, they cruised to a 15-1 playoff record and a second straight title. Shaq put up his customary 30 points and 15 rebounds postseason average, while Kobe carried more of the offensive load than the previous year, scoring 29.4 points/game to go with his 7.3 rebounds and 6.1 assists. They had two dangerous scorers who could drop 30+ points on you like it was nothing. Sound familiar? Steph and KD almost matched Shaqobe in scoring volume, but where they are so much more frightening is their efficiency. Now, of course, it’s a much different game now than it was even 16 years ago, but when your two best players launch from three-point range at 43% in the playoffs? That’s game over. And it was for the rest of the league, as the Warriors marched to an unthinkable 16-1 postseason record while hardly breaking a sweat. I don’t know if many NBA fans back in 2001 thought they’d ever see a team do this. While Shaq was an unstoppable monster back then, Kobe hadn’t quite reached his zenith yet, on either end of the floor. Right now, Curry and KD are in the prime of their primes at age 28. Durant, in particular, looked quite impressive on the defensive end compared to a few years ago. And, let’s not forget, the Warriors bested that Lakers team by one playoff win. They get the slight edge as the better duo. Now we come up against quite a challenge to Curry and KD’s best duo ever argument. I chose the Bulls’ 1995-96 season, because, duh. Michael Jordan and Scottie Pippen straight wrecked the league for an entire season, with 72 wins in the regular season, which was only topped by the KD-less 2016 Warriors. This was MJ’s first full season back from his gambl-, er, baseball hiatus, and he looked like he’d never left. He put up his usual 30 points/game on 50% shooting and picked up another MVP. Pippen, meanwhile, scored 19 per game and did everything else you expected of him: snagged boards, dished out assists, and played his obligatory lockdown defense. I can’t imagine how terrifying it had to be for opponents when the Bulls’ two best players were also tenacious defenders (not to mention Dennis Rodman roaming the paint behind them). Both Jordan and Pippen made All-NBA Defensive First Team, as well as All-NBA First Team that season (Rodman also made Defensive First Team). These guys just did it all. In the playoffs, the Bulls flew through the first three rounds, dropping just one game. In the Finals versus Seattle, they marched out to a 3-0 series lead, before losing two games to Shawn Kemp and Gary Payton’s 64-win Sonics team. Chicago would close it out in Game 6 though, giving them their 4th title. While Curry and KD had a better playoff record, their regular season with *only* 67 wins falls just beneath what the Bulls pulled off. With team results about even, we turn to the level of play of each duo. Steph arguably played the best basketball of his career in this year’s playoffs, even better than pre-Durant when he didn’t have to share shots. What’s more, he didn’t even win MVP or Finals MVP this season. Think about that. Durant somehow shot even more efficient than Curry and provided stellar defense, to boot. Pippen’s offensive numbers dipped a bit in the ‘96 playoffs, but it didn’t matter. His defense was unreal as always (2.6 steals/game). Jordan was Jordan; that’s about all I need to say. Curry and KD both made the All-NBA Second Team (KD might have been named to the First Team had he not gotten injured), but their individual defense was nowhere near the same stratosphere as Jordan-Pippen. In the end, that’s why MJ and Scottie beat out Curry and KD. When your two best players are seemingly invincible on both ends of the court, you might be the best duo of all-time. 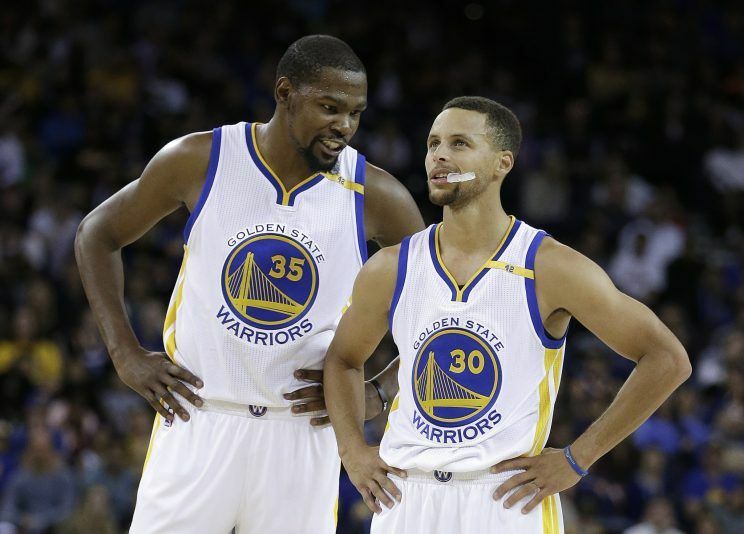 For Curry and KD, it’s still no joke to be the best single-season NBA duo in over 20 years. Their efforts together (with a little help from their other All-Star teammates) have produced perhaps the greatest team of all-time. As it stands today, there’s plenty of time for them to add to their legacy and become the greatest duo ever. 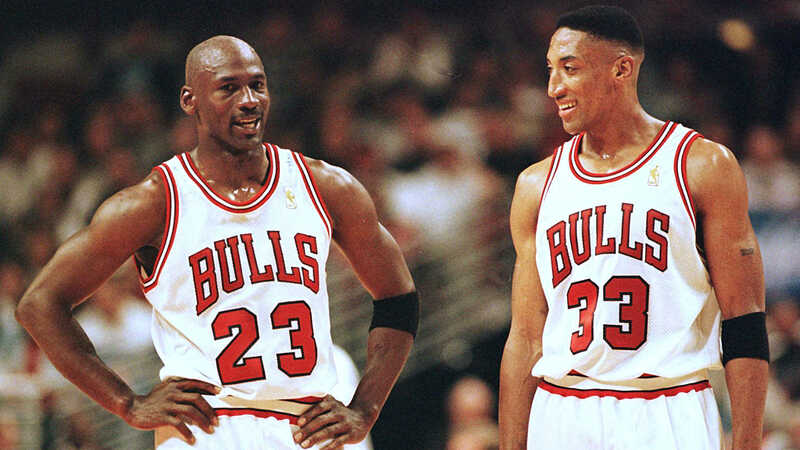 Even if they dominate the league for the next 3 years, it will be tough for them to top MJ and Scottie. I do think the league has a bit more talent in it now than 20 years ago though.